This article gives an overview of the different models and showcases some expeditions vehicles that have been developed by enthusiasts. The FJ40 is often seen as the original Land Cruiser, even though older models exist. Its shape is unique, with some Jeep-like inspiration but curvier lines. Several variations exist – FJ40, FJ41, FJ42, FJ43, FJ44, FJ45, FJ46, FJ47. Some of these models are extremely rare or were made for specific regions. Production started in 1960 and ended in 1984. In North America, the typical engine is the F/2F with some rare instance of the 3B. One note to keep in mind if you intend to use a FJ40 for an extended journey – disk brakes appeared in 1976, power steering and a/c became available in 1979. The Bandeirante ( OJ50 / 55 / 55 B / 55 2B, BJ50 / 55 / 55 B / 55 2B ) was a J40 series built in Brazil by Toyota do Brasil Ltda from 1959-2001. Identical to the BJ40 in almost every respect, it had a few stylistic modifications to the grille and used a Mercedes-Benz diesel engine ( later replaced by Toyota 14B inline 4 direct injection Diesel engine ) for much of its production life. You can learn more about their vehicle in this thread. The 50 series is not very commonly used as an overland vehicle but they do have a small but strong group of enthusiasts attached to it. The only model in North America was the FJ55 with the F/2F engine. FJ56 got produced in Japan. Production started in 1967 and ended in 1980 (For Japan, earlier in North America). The 60 series remained even to this day one of the most popular platform for overlanding, mostly because of the low cost they can be had at. Even with short production life (1981-1989), sales have been really high. Two models got produces – FJ60 (1981-1987), FJ62 (1988-1989). The most common engines are the 2F, 3G and 2H. It is also possible to find a FJ60/62 with either a 12HT, 1HZ or 1HD-T.
LostWorldExpedition (Luis and Lacey) have been on the road for almost 2 years now with 1987 FJ60 with a 12HT diesel conversion. Possibly one of the most famous Overland couples, Emil and Liliana have 3 record guiness for their 26+ years ongoing journey around the world. 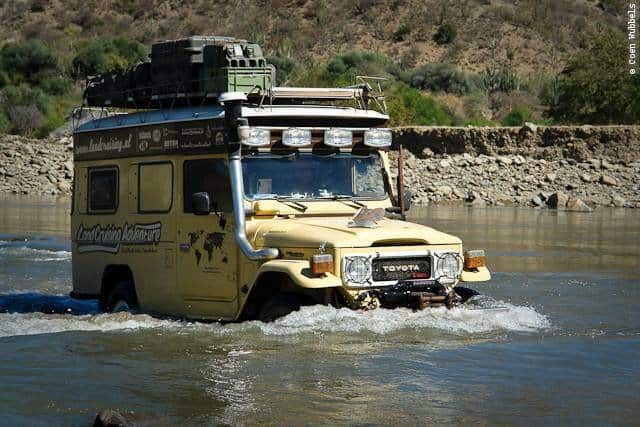 This Land Cruiser has seen 168 countries and over 650000 kilometers (400K miles). The 70 series (specifically the 75/78 Troopie version) is considered to be the ultimate expedition vehicle platform. It has been used by every NGO, aid organization, overlanders and even terrorists all over the world in undeveloped regions for decades. The 70 was introduced in1984 to replace the 40 series. The 70 series is probably the one that has seen the larger number of models developed from. It is still in production today. Starting in 2007, significant changes were made – introducing airbags for the first time and a new V8 twin turbo engine. Shortwheel base, long wheel base, pickup (bakkie), ambulance, hard top, soft top – almost every combination has been created. Model numbers varies from 71 to 79. Please refer to this great article to learn more about the diversity of that series. For overlanders, the most popular model is the HZJ78 and HZJ79. HJ75 and HZJ75 used to be popular but they are getting a bit old considering that most of them suffer a heady daily abuse. 2aroundtheworld (Christian and Persephone) travels through 3 continents (Africa, Australia, Europe) over a 5 years period with an older HJ55 without experiencing one single major failure. Radiobaobab (Frederik and Josephine) spend 2 years exploring the remote corners of the globe, including driving across the Congo in a HZJ78. Many campers have been built out of a 70 chassis. The 80 is now one of the most popular choice for an Overland vehicle. They can be had at a good price and they are extremely robust with solid axles and optional factory front and rear differential lockers. Production started in late 1989 with the FJ80 (2F engine) then quickly switched to the FZJ80 up to 1997 (up to 2008 in Venezuela). The Lexus LX470 is the equivalent of the FZJ80 with a few more luxury items. The 90 series is commonly refered as “Prado”. Despite sharing the same heritage, it is not a favorite with the overlander communities. It has suffers from some reliability issues over the years and it does not have the same robustness reputation. The name Prado was originally attached to some models in the 70 series range. However in 1993 it evolves into the 90 series and started its own lineage. 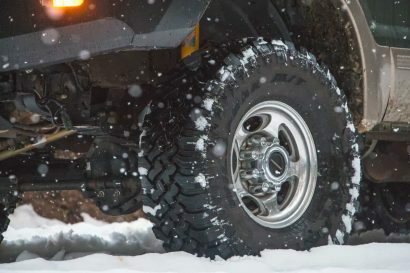 The 90 series seems more geared toward an urban usage with some occasional off road activity and has been sold mostly in Japan, Australia and Europe. 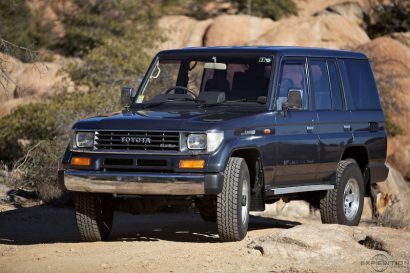 In April 1998, the 100 series (UZJ100 in the USA, HDJ100, FZJ100, FZJ105, HZJ105 in other markets) Land Cruiser was introduced to replace the 8-year-old 80 series. The 100 Series come in 2 flavors – the 100 and 105. Despite sharing the same denomination, they are significantly different. The 105 chassis and powertrain is closer to his predecessors, the 80, offering solid axles and straight 6 cylinders. The 100 offers IFS front suspension, a slight wider chassis and V8 engine, for more on road comfort. The Lexus LX470 (98+) is the equivalent of the UZJ100 with a few more luxury items. The 200 series is the latest incarnation of the venerable Land Cruiser. 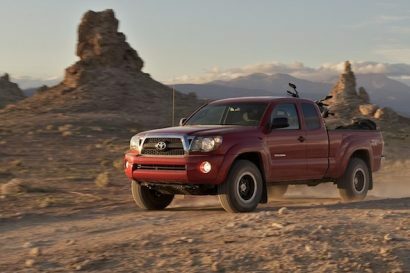 It has been completely redesigned and offers many new features – some of them questionable for an overland usage. A more basic version is available in foreign markets. Turtles across the land - A Jeep Wrangler as an overland vehicle.